The probe was launched days after a Seattle Times report uncovered wide-ranging concerns about patient care at the facility. State health regulators have launched an investigation into the practices of Swedish Health Services’ Cherry Hill hospital, days after a Seattle Times report uncovered wide-ranging concerns about patient care at the facility. David Johnson, a spokesman with the state Department of Health, said Thursday a case-management team authorized the new investigation after reviewing The Seattle Times’ findings. Johnson added that the state Medical Commission, which handles issues involving specific doctors, was in the process of investigating complaints filed against Dr. Johnny Delashaw. 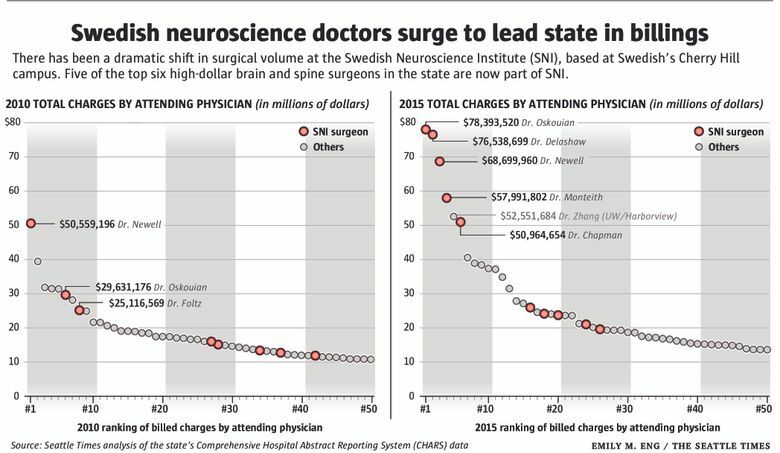 Delashaw, the chair of neurosurgery at Cherry Hill’s Swedish Neuroscience Institute (SNI), was featured prominently in the Times investigation. Johnson said the Medical Commission’s investigation of Delashaw was related to two complaints filed in the past year, but he declined to elaborate. “It would not be appropriate to discuss an active investigation or related processes until all available evidence has been considered,” he said. Delashaw and a Swedish spokeswoman did not immediately return messages seeking comment Thursday. As The Times reported in its stories, Delashaw arrived at the Cherry Hill campus in 2013 and has led a dramatic rise in the number of surgeries taking place at the facility in recent years. With new contracts that incentivize a high-volume approach, the brain and spine surgeons at SNI have surged past their peers around the state when it comes to total billings. Star surgeons draw patients from all over the region, but current and former staffers said those doctors sometimes do little in the operating room, instead leaving surgical fellows to do the work while the primary surgeon handles a different case in another operating room. The new approach at Cherry Hill has coincided with a range of internal complaints about Delashaw’s care, according to documents obtained by The Times. 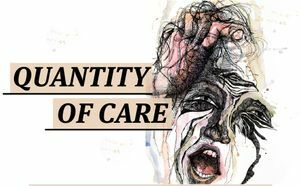 Fellow medical staffers have expressed concerns about patient safety, inadequate care, a culture of intimidation and disregard for patient complications. Early last year, records show, an anonymous whistleblower contacted the Department of Health to describe a variety of concerns about Cherry Hill. The whistleblower reported issues of inappropriate surgeries, rising rates of complications and infections, and fellows who were doing unsupervised surgeries. A DOH investigator conducted a two-day review at Cherry Hill and concluded that the allegations were “not substantiated due to lack of evidence,” according to records. The investigator cited Cherry Hill on an issue related to traveler nurses, saying the hospital didn’t have a sufficient process to verify whether those temporary nurses hired to supplement the staff had sufficient skills for the job. After seeing The Times report on Cherry Hill’s practices, Washington state Sen. Karen Keiser sent a letter earlier this week urging the DOH to “reopen its investigation and vigorously pursue all significant allegations and evidence. “No serious investigation lasts just a couple of days,” Keiser wrote.